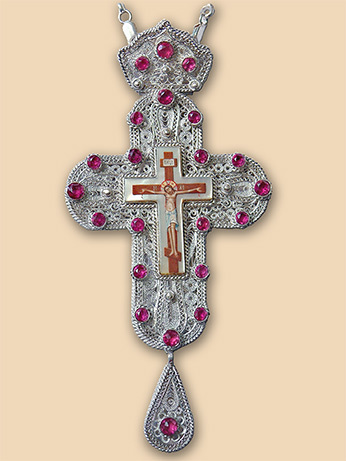 Bishop's pectoral cross in set with panagia PN005, and bishop's staff ZL002. Material: silver 950, red corundum, mother of pearl. 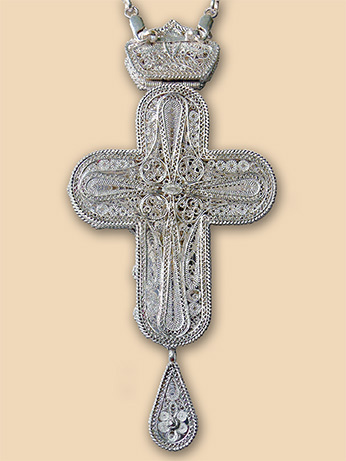 Size: cross 16,5 × 8 cm., chain 140 cm. Weight: cross 115 grams, chain 70 grams. Commissioned by: Mr. Djordje Vranic, Kraljevo.